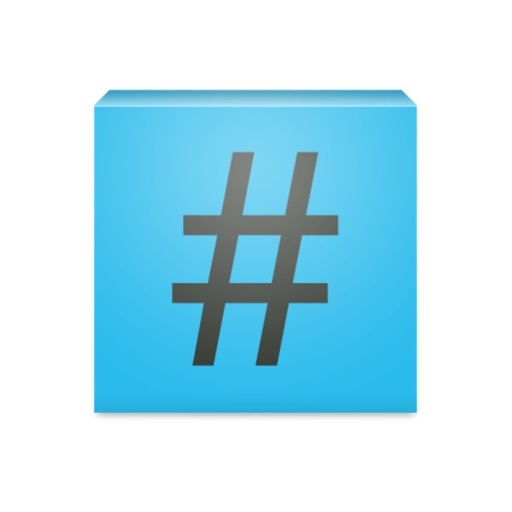 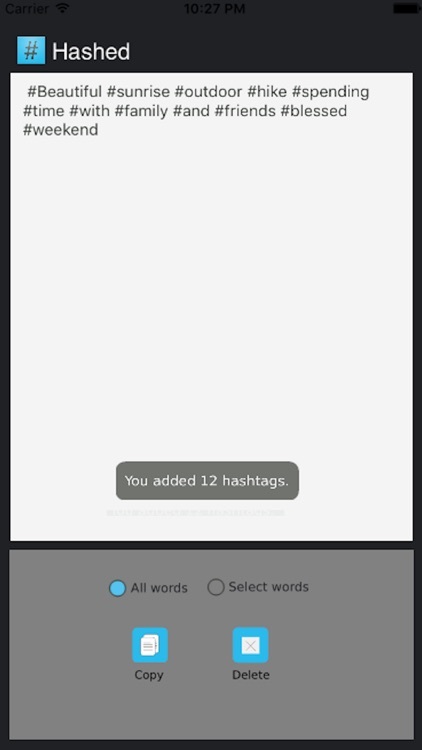 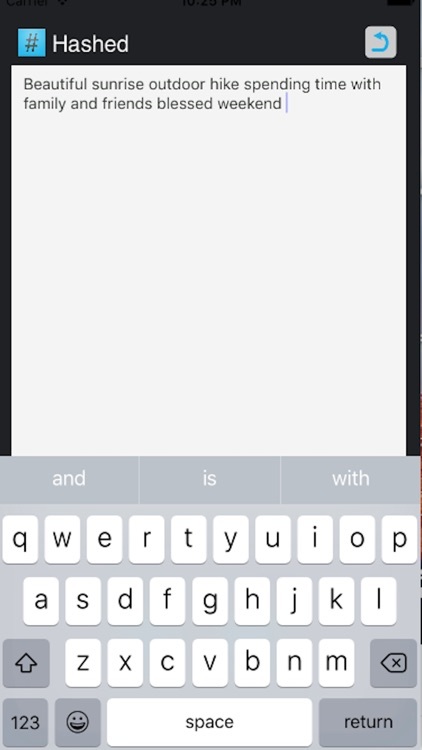 #Hashed is a simple text editor with built-in features to automatically create hashtags. 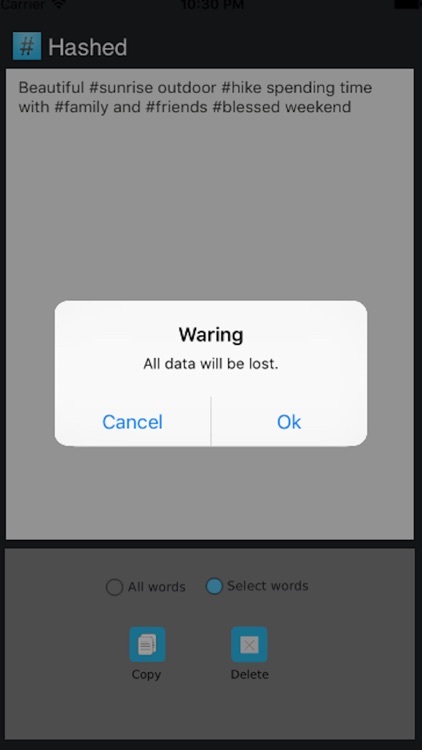 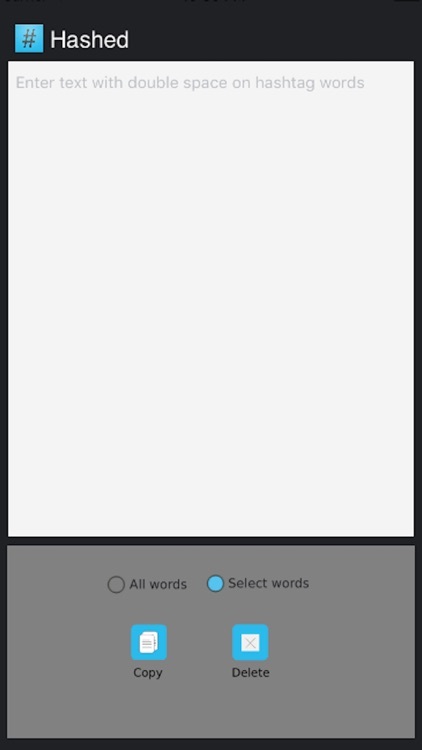 Just add your text and press copy to see the magic. 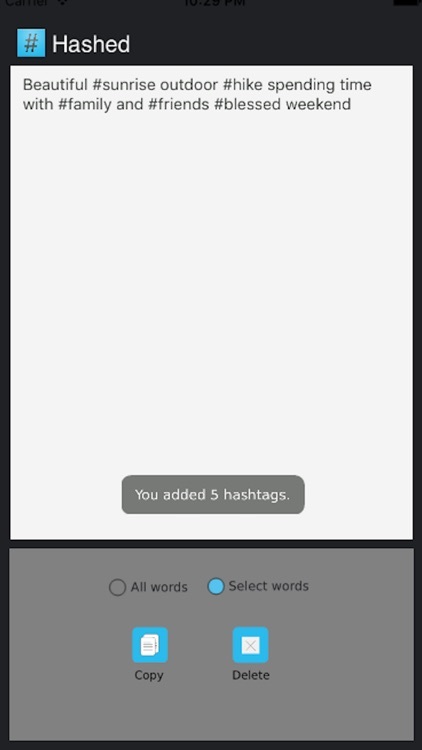 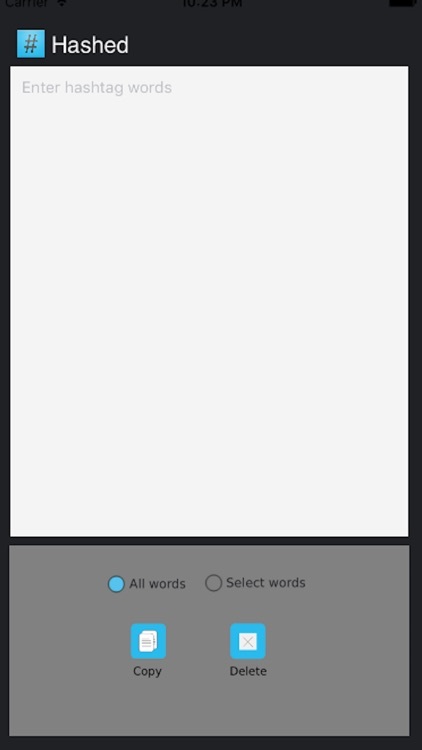 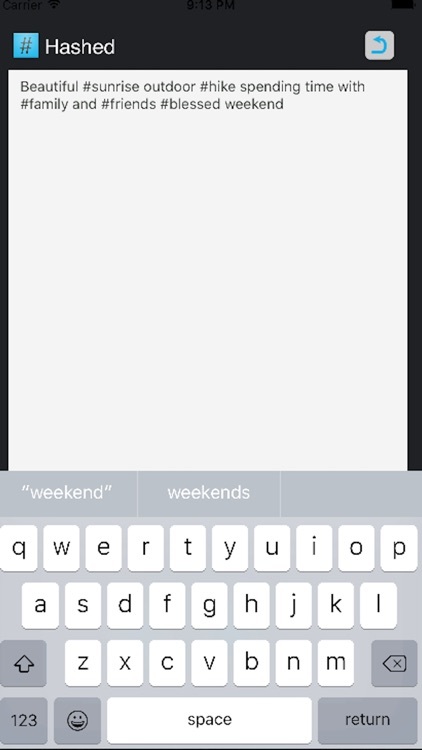 Best part, the app lets you know how many hashtags were added so you never go over the limit, and it saves your work so you can reuse the text anytime.